Identifying fake fish, cleaning up polluted canals, improving science education – these are some of the jobs that governments are getting done by mobilising the profit motive. Over the past twenty-five years, partnerships between government and business have grown into an industry worth hundreds of billions of dollars, but as the two sectors grow ever closer together, innovative agencies are finding new ways to have private companies get things done for the common good. Traditional public-private partnerships, where government contracted companies to provide things, began with big infrastructure projects such as roads, power stations or waste treatment plants, and were worth more than $300billion in the EU between 1990 and 2009 alone. As these become more popular around the world, emerging economies such as Brazil, India and China have recently passed laws to make them easier. Modelled on the song recognition app Shazam and currently being brought to market, the app FISHazam allows shoppers, restaurateurs and fishmongers to use their smartphone cameras to identify what kind of fish a fillet is from. 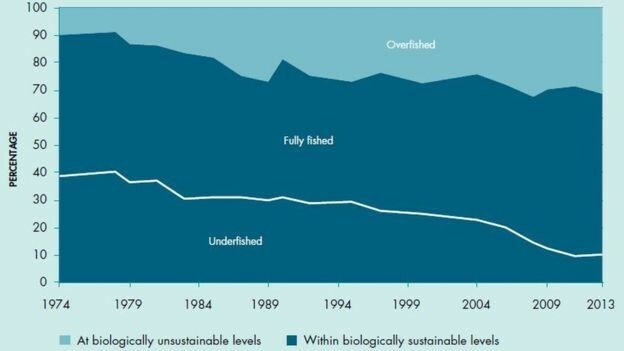 That matters because as many as one in three fish on sale are not what they purport to be; cheap or endangered species end up on our plates in the guise of fancier varieties. FISHazam is one of 37 finalists to present solutions to problems posed by fisheries experts, such as how to prevent invasive species spawning in the Great Lakes or stop lost nets from killing fish to no purpose (something known as ghost fishing, said to be responsible for around 30% of global catches). The Netherlands does things on a much larger scale, using satellites to direct farmers to good grazing land in Mali, setting up an early-warning flood system in Colombia and building solar-powered desalination plants in the Virgin Islands. It does this by bringing together hundreds of companies and research institutes in a given field, in this case water, and connecting them to business opportunities that advance the common good. The Netherlands is also home to groundbreaking work on phosphate – the stuff in sewage that makes algae bloom across rivers and canals, killing everything in them, but that can also be turned into a fertiliser. A Dutch civil servant, Arnoud Passenier, in 2011 set up a Europe-wide marketplace to connect research institutions, companies and farmers, and so build a system where phosphate is an asset instead of a pollutant. The UK has capitalised on companies’ growing interest in social purpose to do things like improve science education or funnel their huge purchasing power into social enterprises. The Buy Social scheme provides private firms with a list of suppliers that have a social mission. So a company needing to buy, say, bedding or packaging could be put in touch with Bita Pathways, an NGO that helps people will mental illness get back into work. Or a company needing to buy water for its coolers could be connected with Belu Water, which invests all its profits in ending water poverty around the world and has donated more than $2million to WaterAid in the past five years. Companies like Nestlé, Rio Tinto, Ford and Shell have also been mobilised to improve science education and encourage schoolchildren to study those subjects. The Your Life programme takes schoolchildren into companies to enthuse them about the jobs available with a science degree, as well as introducing them to next generation technology like drones and solar-powered cars. Ultimately, a closer relationship with business could also change government itself by disrupting that most infamous of institutional morasses: procurement. A leading investment fund has told Apolitical that it can’t back cleantech companies selling into government because the sales cycle is so slow that it becomes commercially unviable. And public servants who want to procure from the best and most innovative companies have told us horror stories about not being able to buy technology because it would be outdated by the time the procurement process was complete. But there are signs that things are changing and that procurement cycles are being reduced. We can only hope that a closer relationship with business will lead to a rosier future.